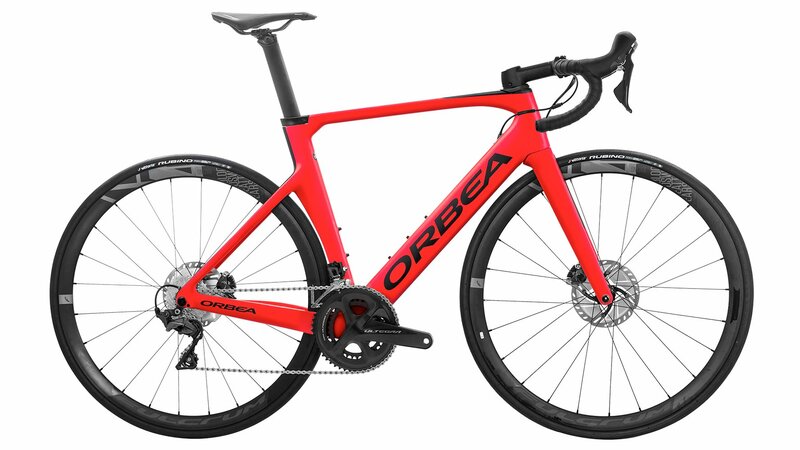 The Orbea Orca Aero M20 comes decked out with a complete Shimano Ultegra drivetrain, providing you with smooth and reliable shifting performance you can count on. Attack and outsprint the competition on FULCRUM Racing 400 DB Wheels wrapped in Vittoria Rubino tires. The Orbea Aero OMR seat post reduces air turbulence due to its aero profile and still manages to maintain great vibration absorption capabilities. The Orbea Orca Aero comes ready out of the box to win, question is.. are you?